If you really want to meet great lesbian women, you need to get online, and our experts’ #1 choice for that is Match.com, which you’ll see below in our top recommendations. Match, as well as the other options, has a huge user base with a good percentage of lesbian singles, even if it isn’t specifically for lesbians. Falling in love in paradise is not just a story line in a romance novel. Women do it all of the time on lesbian- or LGBT-specific vacations. 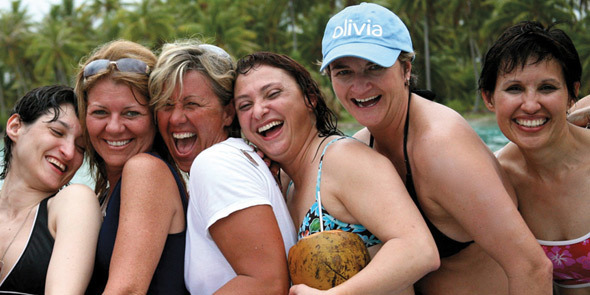 You might not think a trip to Cancun or a cruise to the Greek Islands is a great place to meet lesbian singles, but when you travel with an LGBT-specific company or organization, like Olivia Lesbian Travel or Autostraddle’s A-Camp, you will be sharing the place with dozens, if not more, lesbian singles. When you travel with an LGBT-specific company, you’ll be surrounded by single lesbians. Other LGBT vacation companies offer special events just for solos and others are for singles only. If you’ve been wanting to take a trip anyway, a lesbian-specific vacation will at the very least send you home with a few new lesbian friends. There are probably many organizations in your hometown doing really good work for the community. 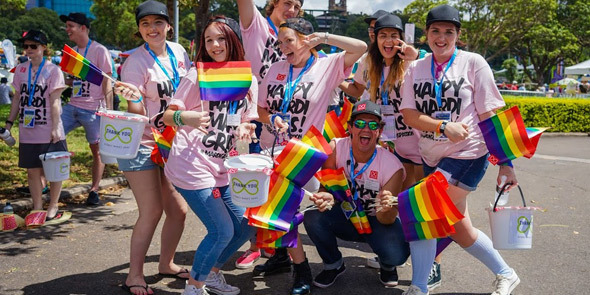 Whether it’s an LGBT rights organization campaigning for pro-gay candidates or a LGBT youth support group, volunteering helps you meet single lesbians and make a difference in the world. The Human Rights Campaign and the National Center for Lesbian Rights are great places to start. LGBT fundraisers and events like it will put you in front of hundreds of lesbian singles. Sign up for a committee or help plan a fundraiser. Those kinds of events will likely put you in contact with a large number of singles or people who know singles and would be willing to introduce you to their friends. Don’t have a lot of time to volunteer? Get the most bang for your time and sign up to help with the big annual event or gala, where you’re likely to be in the presence of a plethora of single lesbians dressed to impress. If you want to meet single lesbians, you need to go to where the lesbians are. Lesbian-specific dances are a great first place to start. Certainly not everyone in attendance will be single, but often at these kinds of mixers and dancers, single lesbians are able to show their status with a special bracelet, necklace, or other indicator. Look for lesbian two-step, salsa, swing, or disco dances. Dancing is a great way to flirt and meet women in a fun environment without a lot of pressure. 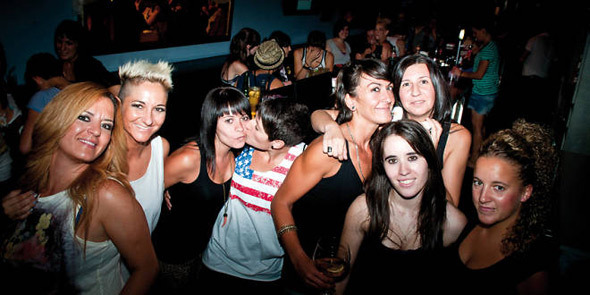 Get your flirt on and have fun at lesbian-only dances. Likewise, if you’re into film, be sure to attend an LGBT film festival. At the very least, you’ll see some wonderful LGBT-made films. At the best, you’ll meet someone you really click with. The same is true of lesbian music festivals, concerts, gaming groups, or social mixers. Hear of an event with hundreds of lesbians in attendance? Then likely a large percentage will be single. The social networks you’re already on are great places to meet single lesbians. Talk to your friends — gay and straight — and let them know you’re single and looking to meet other singles. Your friends know you better than anyone, so they are the ideal matchmakers for you. Have them scour their own social networks and invite you to dinner or drinks with other single lesbians. It doesn’t have to be a high-pressure situation. Consider it networking or meeting new friends. If you happen to click, great! Check Facebook’s events pages for interesting activities and to see who’s going. In addition, don’t neglect your online social networks. 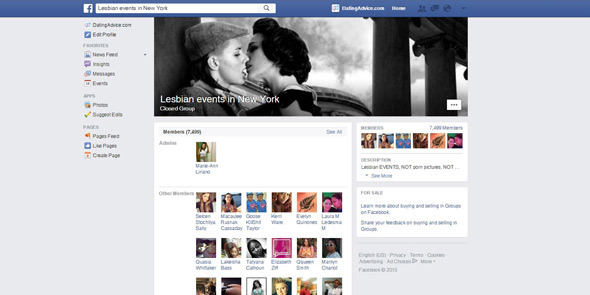 Keep an eye on Facebook for friends who are single or friends who might know single lesbians. Check out events pages for interesting activities and look at the RSVP lists. If you see someone who looks interesting, sign up! And don’t leave out Instagram, Pinterest, Tumbler, and other social media platforms for single lesbians. I once asked someone out via Instagram after she posted a pic of herself with a cute new haircut and said she was ready for a summer romance. 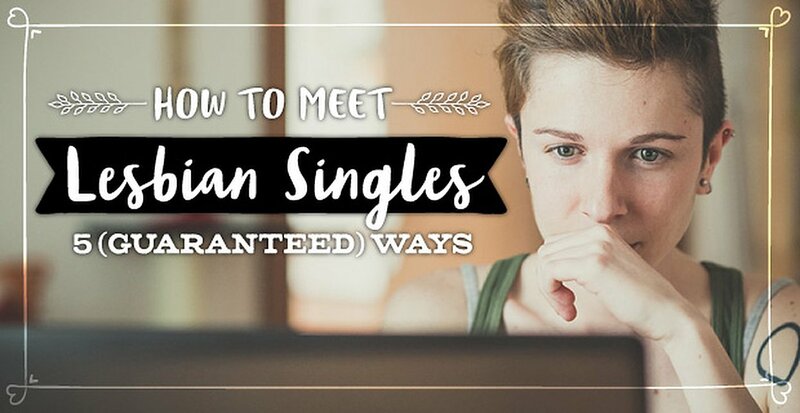 Spread your net wide to put you in contact with the most single lesbians possible, and narrow it down to the ones you want to meet in person. Putting yourself out there, one dating site and event at a time, is guaranteed to help you meet single lesbians who spark your interest. So what are you waiting for? Get started today, gay girl!